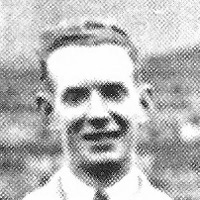 Jimmy Littlejohn had been with Cowdenbeath until the outbreak of WW2. United received permission to play him and he went on to complete the season, missing just a few games and played in the final of the Emergency War Cup in 1940. In July 1942 he was elected to the Board of Directors. He was joint team Manager with Jimmy Allan for a short period in the early days of WW2 and took sole charge of team matters in November 1942 while United played in the North Eastern division of the Wartime League set-up, until Charlie McGillivray was appointed as manager in November 1944. During his time as a director of the Club, Littlejohn was instrumental in investigating and setting up the football pools project that the Club undertook during the late 1950's, and Taypools went on to be a huge success. Apart from a three year spell missed due to ill health, Jimmy remained on the Board until his death in 1989.